Still undecided? Read on for more details on our top tips and money-saving parking techniques. 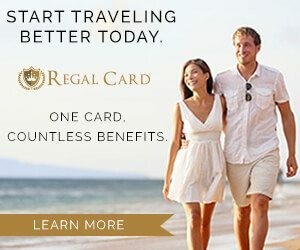 We have a number of options that allow travelers to save money without sacrificing convenience, which makes locating cheap San Francisco airport long term parking uncomplicated and painless! Located around the San Francisco airport are a number of independent parking facilities that often have significantly cheaper parking costs than SF airport parking on-site providers. Most of them are within a 10-minute ride on a free SFO shuttle straight to your terminal. 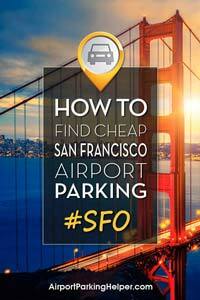 We recommend this helpful website to compare cheap parking near SFO airport. BONUS SAVINGS: Use our coupon code HELPER5 at checkout to save an extra $5 on your reservation! This resource shows daily pricing, customer reviews and helps you make parking reservations quickly, saving you a ton of frustration when you're already stressed about getting to the terminal on time. Using offsite lots has become a very popular option for travelers not only because they're cheaper, but also because of the perks that are often available such as valet services, handicap assistance, car washes, and complimentary water and newspapers. Other area independent lots like Burlingame Airport Parking SFO, Park and Fly and many more, are also available and offer you the opportunity to secure parking discounts online in advance, complimentary shuttle service, and some even have specials for frequent users. 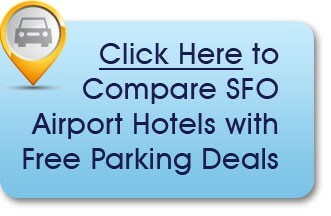 Hotels near San Francisco airport will often offer free long term parking options with a minimum one-night stay. This is especially nice if you have an early morning flight and would rather get a great night's sleep, stay under the covers a little longer, and enjoy a good breakfast before you head off to the airport. Depending on your trip length, this could end up being a better option for you. 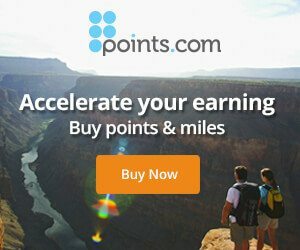 Here's a great resource where you can view all the hotels in San Francisco with free airport parking offers. BONUS SAVINGS: Use our coupon code HELPER15 at checkout to save an additional 15% on your deposit! It's easy to run a quick comparison and see how the price stacks up against other parking options. Let's look at the La Quinta Inn – San Francisco Airport hotel for example. This hotel is located 2 miles from the airport and offers a standard room for around $160. In addition, your stay (which can be on the front or back end of your trip) includes free SFO overnight parking for up to 10 days, as well as and airport transportation to the SFO terminals. Compare that with paying $25 per day to park in the cheapest parking lot at SFO and you can see that this could be a much better deal for you. Plus, remember all the perks (good night's sleep, no worrying about traffic, free breakfast, workout room, etc.). This is not necessarily going to be the best long term parking SFO option for everyone, but it could be the perfect solution for fly-in, fly-out meetings for business travel or for those who will be gone for more than a week or so. Hotels also offer other package deals during different times of the year. Different seasons and holidays call for more traveling. Around Christmas time, these parking packages usually go up a bit in price because the hotels understand that it is a very busy time of the year, which of course adds to the demand for parking. Book early and knock this off your travel to-do list! This is a recent list of participating San Francisco airport hotels with free parking packages. You can find the updated list here. All of these hotels offer packages with free parking, airport shuttle services to get to you/from the airport and free cancellations! Most companies that offer car services to San Francisco airport feature both private and shared ride choices for travelers. 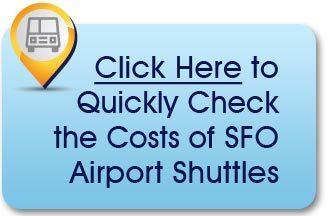 If you’re short on time just head on over to our top pick for San Francisco airport transportation to quickly compare available low-cost options. BONUS SAVINGS: If a shuttle option is right for you, use coupon code APH5 to get 5% off your booking! Shared-ride shuttles mean just that: You share a vehicle (most times a van) with other flyers from the Bay Area going to SFO around the same time as you. Your driver will pick you up at the spot you designate (such as your house, office, hotel, etc.) at the time you choose. He’ll also pick up others and then deliver everyone to the terminal of their airline. If you choose the private SFO car service you won’t have to make those extra stops. Instead you’ll get direct transportation from your pickup spot to your terminal. While it’s not as economical as the shared ride, it’s certainly more convenient. And if you have three or more people in your party, it may not price out to be a whole lot more than sharing a ride. You can usually choose a sedan, SUV, van or limo to SFO. In addition to booking your ride to and from SFO, you may also want to consider any transportation needs you may have at your destination city, too. Rather than taking a cab or using a ride-hail service, you can pre-arrange for a car or shuttle to pick you up at the airport and transport you to your hotel, convention center, cruise terminal – you get the point. 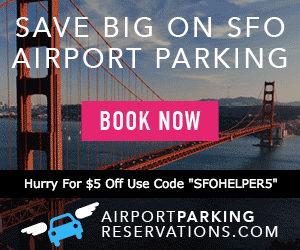 When hunting around for an online SFO parking coupon doesn't turn up anything, you might have some luck checking to see if there are available SFO airport parking deals being offered through local deal sites like Groupon. We did find a few parking offers that might work for someone departing from SFO – you can check them out on this Groupon SFO parking deals page. Be sure and scroll down through all the local offerings, and check the Parking and Transportation links as you might find other options such as limo airport transfers or taxi services at really reduced rates that could also help you get to the airport with no parking involved at all. You might be surprised how many local goods and services are being represented in the San Francisco area. 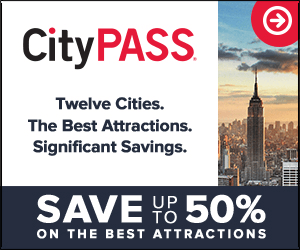 You might also want to check out deals in the city you are traveling to and pick up some great prices on local attractions and restaurants. 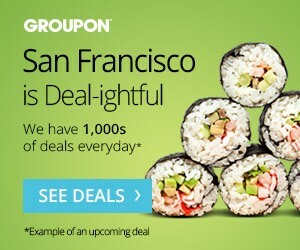 Keep in mind that some parking deals on Groupon can be offered for a limited time, while others may be seen consistently on the deal site. So if you see a good deal, grab it while you can. Oh, and be sure to read all the details to make sure the deal is good for your travel dates! Sometimes, finding the cheapest parking at San Francisco airport means avoiding it altogether. How? Reserve two one-way car rentals and leave your personal vehicle at home. Here’s what you do: Use a San Francisco car rental aggregator like this one to find a good deal on a rental that originates in your hometown. Reserve a vehicle for two one-way rentals (the day you fly out and the day you return). The pros of this strategy: You avoid having to ask a relative or friend to drive you to and from the airport; no wear and tear on your personal vehicle (or worrying about its safety in the long-term lot while you’re gone); and no driving around searching for a spot in the SFO remote parking area with your flight time looming. Stressful! SFO parking long term rates run $25 per day. So if you’ll be gone more than 10 days, chances are you can find two one-way car rentals that will be cheaper than on-site San Francisco airport parking. Will it be less expensive than an offsite parking lot or hotel with free parking package? You’ll have to run the numbers to find out. The site we recommend above is a car rental aggregator that compares rates of top-brand companies like Avis, Alamo, National and Enterprise. It's a division of Priceline, and the site helps you find low prices and make easy online reservations without a credit card. And don’t forget to check pricing for a car rental at your destination city, too. We’re frequently asked, “Where’s the best place to park at SFO?” and “How much is parking at San Francisco Airport?” Basically, SFO has three options available for on-site parking: Long-Term Parking, International/Hourly Parking and Domestic/Hourly Parking. The long term SFO parking lots, located at 806 South Airport Boulevard, are the cheapest. 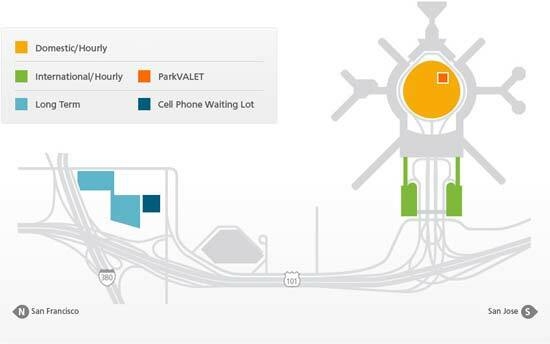 The lots are accessible 24/7 and shuttle buses run to the terminals every 5-15 minutes. The closer, more convenient domestic and international parking lots will cost more per day. For frequent flyers, the airport also offers a membership called ParkFAST which offers access to a covered, reserved parking area. You must apply and additional fees apply. Other available parking amenities: Credit card backed FasTrak accounts for easy parking payments, a Cell Phone Waiting Lot, Kiss & Fly parking zones, handicapped accessible parking services and plug-in electric car charging stations. 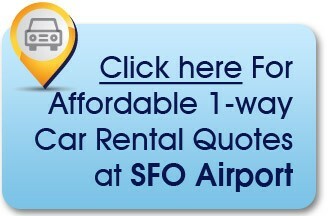 You can check here for the most current information about the airport's own best SFO parking cheap options. Where is San Francisco airport located? The San Francisco airport address is 780 S Airport Blvd. San Francisco, CA 94128. How can I call the San Francisco airport? The San Francisco airport phone number is (800) 435-9736 or (650) 821-8211. What is the San Francisco airport code? Where's the best place to park at SFO on the airport grounds? 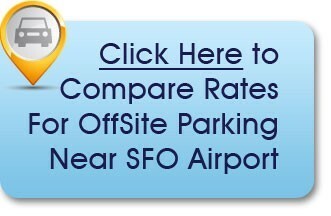 On-site parking rates are among the highest in the nation at SFO. The airport offers a number of parking lots on site with costs changing depending on distance from the terminals. Parking is available on a first-come, first-served basis with no reserved and/or prepay choices available. The SFO economy lots can reach maximum capacity, leaving you no option but to use the lots closest to the terminals at higher rates. How much is long-term parking at San Francisco airport? Look up the SFO parking rates for short term and extended stay parking at the official website for San Francisco International Airport. 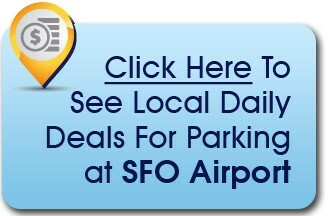 Where can I find SFO parking coupons? 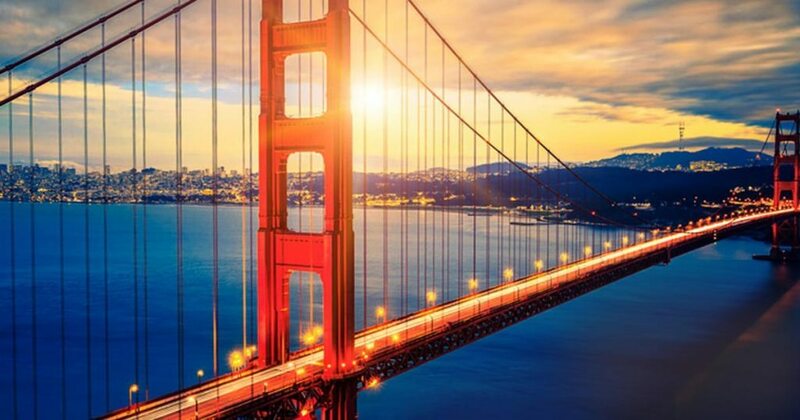 Visit our Top Travel Deals page for most recent discounts for SFO off-site lots or San Francisco hotels with free airport parking packages, as well as discounts on other travel needs like airfare, car rentals and more. How can I confirm the parking status at San Francisco airport? Unfortunately, San Francisco airport doesn't feature an online portal to confirm the status of its parking lots, which means you risk showing up at the airport, driving around and around (stressful!) only to find the affordable lots are completely full. With your flight time looming you'll have no alternative but to park in one of the closer lots with a more expensive daily rate. That's the reason it's generally a good idea to plan in advance and make a reservation at a private off-site SFO lot. It's fast, simple and you'll be assured of a guaranteed space close by along with a hassle-free shuttle ride directly to your airport terminal. You'll likely save a bit of money, too. Be sure to use the code HELPER5 when you checkout to save an additional $5! Is SFO valet parking available and should I use it? Valet parking at SFO overnight is the ultimate convenience, which also makes it the most expensive alternative ($45 per day). 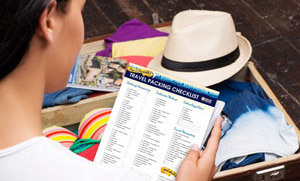 Frugal travelers will certainly want to think about different plans. There will also be a variety of “valet” options offered by private off-site facilities, but the meaning can vary. At some parking lots, the attendant will drive you to the airport in your car, leave you at your terminal and then park the car in their secure off-site lot during your trip. At other lots, the employee can meet you at the airport and then take your car back to the off-site property. Luckily, the privately-owned parking lots do a great job of defining what their valet amenities include within the individual profile (along with additional amenities), so it is quite easy to determine whether spending a little extra is worth it to you for this benefit. How big is San Francisco airport? SFO has four terminals (three domestic and one international) with seven concourses and four runways. The airport covers a total of 5,207 acres. Where can I find a San Francisco airport map? Click for a direct link to the SFO airport map, also referred to as the SFO terminal map. What's the best way to get to San Francisco International Airport? To find the best route to SFO, it's always a good idea to map it prior to taking off for the airport. You'll type in your starting location and let the app do the rest. Either print the directions or use your mobile device and follow the turn-by-turn directions. With your mobile device you'll also get traffic alerts, which will enable you to alter your route, if needed. Click for directions to San Francisco airport. San Francisco International Airport SFO serves the Bay Area of California, along with nearby San Jose and Oakland airports. SFO is the busiest of the three and is a major gateway for international destinations, particularly Asia and Europe. SFO is located just off Hwy 101 in what’s known as Silicon Valley and is approximately 13 miles south of San Francisco’s downtown area. Other noteworthy nearby cities that are home to some of the country’s most well-known tech companies include San Mateo, Dale City, Palo Alto, Mountain View and Santa Clara. In 2016, more than 53 million passengers flew through San Francisco Airport, making it the 7th busiest in the U.S. in terms of total passenger boardings. SFO has three terminals for domestic flights (1-3), plus a large terminal dedicated to international air traffic. In all, you’ll find seven concourses, denoted as boarding areas A-G. There are tons of places to eat at SFO – pre-security and after you get situated in your terminal. A few standouts to consider include Firewood Grill, Napa Farms Market, Tapas & Taps (California beer and wine), Lark Creek Grill, Vino Volo and Cat Cora, which is owned by the Iron Chef America star from Food Network. It offers upscale small plates and a full bar. When it comes to shopping, there’s not much you can’t find at the San Francisco airport. Consult the official web site for a searchable list that you can pare down by category and terminal. If you have time, be sure to stop by the SFO Aviation Museum & Library in the International Terminal. Free and open to the public, the architecture represents what the airport’s passenger lobby looked like in the 1930s. Peruse a variety of exhibits and educational programs focused on the history of the airline industry and San Francisco International. So cool, and especially great if you’re traveling with kids. Also for the young, active travelers in your group, the airport features a number of interactive play areas, all post-security and open 24/7. Find a Kids’ Spot in Terminal 3 near Gate 87A, Terminal 2 near gates 54A and 58B and Terminal 3 near Gate 62. Also on the Things to Do at SFO list, but for those interested in a more serene experience, is the Berman Reflection Room, the Christian Science Reading Room and yoga rooms – two space devoted to the practice of yoga that are free and open all the time. Like many larger U.S airports these days, SF airport has instituted a certified animal assistance program where passengers can pet the trained dogs that roam the terminals with their handlers. You’ll find golden retrievers and a variety of spaniels and Labradors wearing blue “pet me” vests. A more unique member of the airport’s “Wag Brigade” that you’ll want to be on the lookout for is Lilou, a sweet, hypoallergenic pig who can perform a variety of tricks. She’s so popular she even has her own Instagram account! Having difficulty choosing which of these cost-effective options is good for you? Explore our in depth Airport Parking 101 posts. These helpful write-ups explain the chief advantages of each airport parking option in an easy-to-digest format.